can help me with the headlamp levelling wire codes? to be honest a bit more car info would help. Edited by nicklouse, 07 November 2018 - 08:12 PM. Most of the colours you have are not head light leveling. See the diagram below. Nick beat me to it! Edited by ochumi, 09 November 2018 - 11:28 AM. 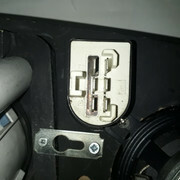 I would suggest the plug you have been given, although the right type for the switch, has actually been cut from elsewhere on the loom and should connect to the ignition barrel. Then time to get your multimeter out. That's a plug from a metro heater fan switch! 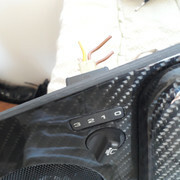 You'll need to look in the mpi workshop manual to find out which position the wires go into the socket so you can wire it up to the colours you have. dont seem to match up with the Metro diagrams i have. 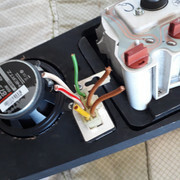 I’d agree - those wire colour would never go to a heater fan switch in BL/Rover car.